What is the relationship between a startup that wants to revolutionize the world of consulting and the world of sailing? In July 2014, Yann Rousselot-Pailley crossed the Atlantic on a sailboat, from Québec to Saint-Malo. Along with 10 other entrepreneurs and skipper Georges Leblanc, he took on the sea. "Crossing the ocean was a wild dream that I had since five years ago, when I started questioning the future of my profession and my way of doing it," said Yann. He knew that the consulting profession had to change. "But how? Intuitively, I knew that digital was the solution, but that's as far as I had got." One day, the Esprit de Corps Group offered Yann to join a team of executives embarking on various sporting challenges. He accepted, but when it came to choose the challenge, no race or marathon was tempting. Yann was looking for something more purposeful, something that allowed him to trace his steps back to France, the way he came to Canada in his youth to build his business in Canada. He wanted to get to know the route, and feel the distance, so he proposed to cross the Atlantic Ocean under sail. Finally, towards the end of 2012, the team started to prepare for the big adventure. After 14 months of preparation, on the day before the big departure, Yann gave a Press Conference. A journalist asked why he chose to embark on such an adventure and wrote an article titled On the Water as in Business (French), which began with the words "For [Yann Rousselot-Pailley], sailing is a metaphor - a company must navigate the rarely calm economic currents, through adverse winds of change, in a time that is not always favorable, and with a team to which we must adapt." The team! That was the key to success for this crazy project. Looking back on it, it became obvious to Yann that what made the adventure worthwhile was the human experience, rather than just the sailing. Collaboration and mutual support were crucial - with land being thousands of miles away, you can only count on the person next to you. Following his return, Yann was consumed by the desire to change the consulting industry. The recipe: AI, sharing economy and... collaboration. 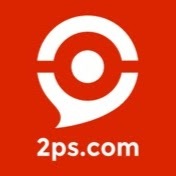 After over a year of R&D and $500 000 invested, 2PS officially launched the alpha version of our collaborative platform in September 2015. In April 2016, less than 2 years after the sailing adventure that sparked the crazy idea, 2PS raised $250 000 and we officially created the company - with plans to expand worldwide. Together with their fantastic team, co-founders Yann Rousselot-Pailley and Loïc Bisière introduced the outdated and inefficient consulting industry to an element that changed everything: collaboration. Since then, there has been incredible traction - the media is talking about us, and consultants all over the world are adopting the new model of working; and companies, large and small alike, are trusting 2PS consultants to solve all sorts of complex business problems. It started with a dream. As Yann often says, "Dreams are sources of motivation. But when you make them into reality, they become sources of transformation." Your Organization Will Fall in Love With 2PS.